Calling all 8th graders! 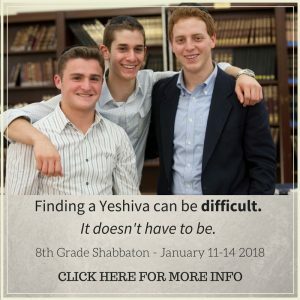 Join us for our annual 8th grade shabbaton January 11th-14th! Meet the rabbeim and experience the ruach of Texas! For more information, please contact sbroderick@texastorah.org.